What started off as a simple quest to make the different block types more transparent to the user has resulted in a lot of visual changes to the game that I’m really enjoying. 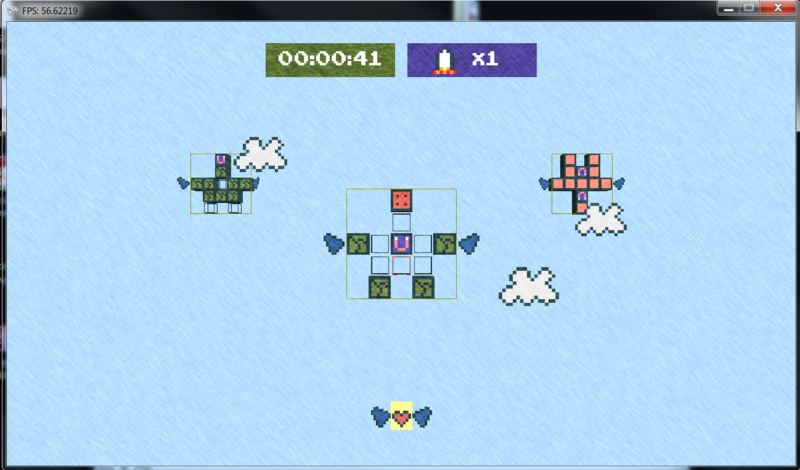 At first, I added little symbols to each block type, then I changed the ‘destroy block’ from a slightly transparent white box to a missile. 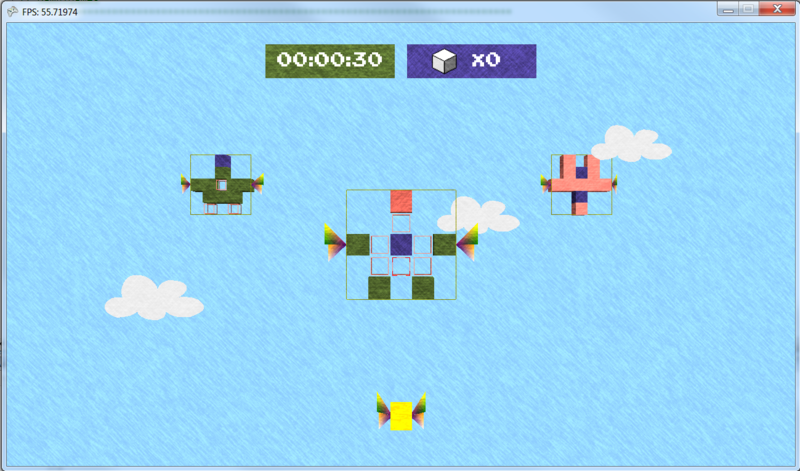 Before I knew it, I was making changes to other parts of the game so that it would all match up visually. I may have gone a little overboard with it. Not apparent in the pictures are the little visual cues I added to the block types when activated. My goal was to make the functionality of each block type more obvious than simply being a different colour. The crumble block now not only has cracks in it, but it also lights up briefly before falling apart. The magnetic block has the magnet pop out and fade when activated. Sound effects for each will be added soon as well.